Congratulations to Nancy Bowen and Eric Romich for their recent article, “Energize job retention: Energy management strategies as a component of business retention and expansion programs” in the special issue of Community Development, (formerly known as the Journal of the Community Development Society from 1970-2004). Members of CDS receive the journal as part of their membership. 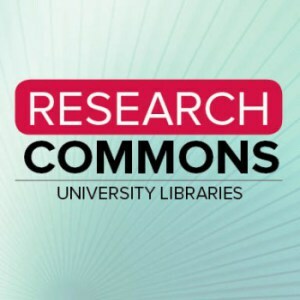 OSU Libraries are not currently a subscriber (enabling you to read any issue from your computer), but we are investigating an institutional membership. Among the exciting news (e.g. 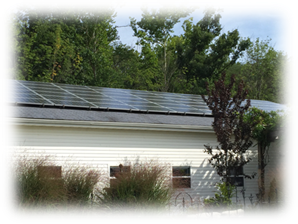 Franklin County Extension to locate at Waterman Farm) and program updates found in the most recent issue of the CFAES Continuum, you may have also noticed a familiar name or face. In particular, page 7 highlights Mariah Stollar (a junior ACEL student majoring in community leadership, with a specialization in Community and Extension Education). Mariah joined the state CD office on January 9. And though there was not room on the page to list all of Mariah’s various extracurricular involvements, readers of the Continuum will come to realize what Sandy and I have experienced the past several weeks… Mariah is a superstar! Congrats, Mariah! It’s that time again to compile key metrics for the North Central Region CD Report coordinated by Rosa Soliz-McKelvey at the NCRCRD. As in past years, the center aggregates our state data with those of other states and generates a full report and executive summary that highlight changes in a number of common indicators across the 12-state region. Before March 10, please take a few minutes to provide figures that apply to your work (in some cases, well-informed estimates are the best we can do, and that is fine). You can enter your figures into the attached Excel file, save, and send to me (davis.1081@osu.edu). Your individual responses will be compiled into one report from Ohio and forwarded on to be aggregated into the larger North Central CD Program report. Spending 10 minutes or so to reflect, locate existing data/report files, or estimate if needed, and plug in numbers that are probably about right. And, if your work may not yield indicators for every item described, that’s okay. However, you should be able to quickly estimate the number of programs conducted, number of minorities participating, and the dollar value of those programs, for example. If you have an impact statement that you have been using (beyond what is already reported in RiV) to illustrate your program’s impact in narrative form that you would also like to submit, we will be sharing key narratives as well. And lastly, new for this year is the opportunity to share short impact videos. Examples from Nebraska and Missouri can be found here. As you are thinking through your professional development goals for 2017, don’t limit yourself when it comes to funding. In addition to the OJCEP scholarships available, we now have a formal CD Professional Development Support Fund. A simple application is due by March 1 for the spring awards and October 1 for the fall awards. To learn more, see ‘CD Professional Development Support’ described here. Get ready…Campus Campaign is set to kick off March 1. The annual eight-week effort is designed to generate awareness of the various ways employees can support the programs and aspects of OSU they find most meaningful. Of course, you can contribute at any time, but over the next two months you’ll hear more about giving, how to participate, etc. To see if you are already participating, make a one-time contribution via credit card, or make changes to your existing payroll allocations, click on the ‘Give Online/Search for Funds’ button found here. Doing so will enable you to view your personal contribution record. To see a list of FAQs pertaining to the Campus Campaign, go here. To contribute to our very own CD Support Fund (308100 - the fund from which our Professional Development Support scholarships originate), enter 308100 in the ‘Search for Funds’ box. You may recall we had previously discussed a December CD in-service as part of Extension Annual Conference to be held December 6-8. Those dates are no longer being held for Annual Conference and as such, we will not meet in December. The new dates are January 23-25. 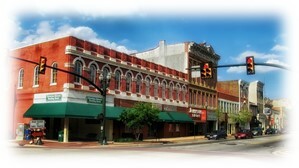 Since winning the Smart City grant from the U.S. Dept. of Transportation last year, Columbus has been a locus of activity for emerging transportation technologies. To further the conversation, the Center for Urban and Regional Analysis is hosting Steve Liang, an expert in urban sensors and Internet of Things (IoT). 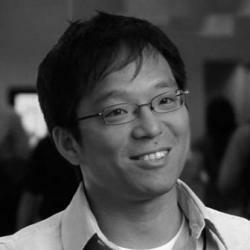 A professor at the University of Calgary and an entrepreneur with the GeoSensorWeb Laboratory, Liang will present his lecture, "Smart Citizens for Smart Cities," at noon on Tuesday, Febrary 28 in 1080 Derby Hall. All are welcome to attend; food and drinks will be provided. Read more. There are many tools, both free and for-cost, for creating infographics and data visualization. 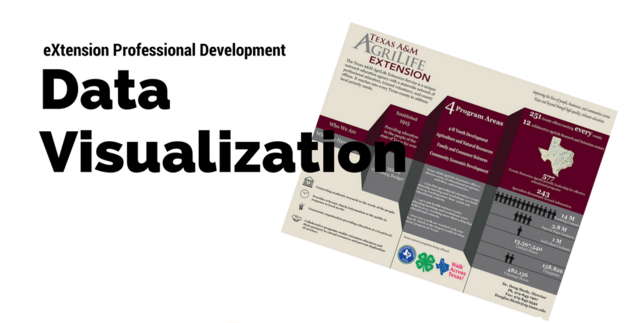 Join this eXtension webinar on March 2 at 3 p.m. as Dr. Scott Cummings with Texas A&M University highlights tools and examples of Extension program data visualization. Learn strategies for translating your text and data into visually attractive and understandable images that tell the story in less time. This webinar was specifically requested by the members of the Diversity & Inclusion Issue Corps and the information will be useful to all Extension Professionals. The presentation will be recorded and made available for on-demand viewing. Register here. Read about other eXtension events and recordings here. This workshop, led by staff from the Industry Liaison Office, addresses the challenge of bridging the industry-university divide by providing researchers with a fundamental understanding of the value of industry engagement and the engagement continuum, tools for rapidly vetting and solidifying industrial opportunities, and knowledge of the support resources at OSU that are key to helping secure and nurture industrial relationships. OSU faculty, staff and postdocs are invited to learn more on this topic by attending the Industry Engagement 101: Collaborating with Commercial Enterprises Workshop on Thursday, March 9 from 11 a.m. - 1 p.m. in the Research Commons on the 3rd floor of the 18th Avenue Library. For more information and registration, click here. 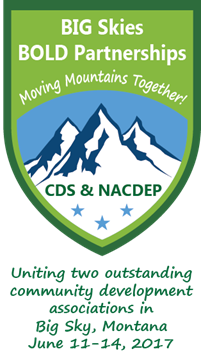 Then reset (or set) your resolution to register for the CDS/NACDEP "Big Skies: Bold Partnerships-Moving Mountains Together" Conference! Registration for the CDS/NACDEP Joint Conference is now open. The conference will be held June 11-14 in Big Sky, Montana. 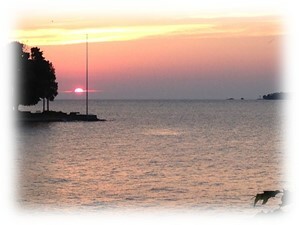 Lodging reservations can be made by calling (800) 548-4486. Reference “CDS-NACDEP” to receive discounted rates. A deposit is required at the time of reservation. Please remember to request your T# before making pre-payments. The NCRCRD periodically sponsors or facilitates webinars to connect rural development researchers and Extension professionals with each other and with stakeholder groups. These webinars are free, and there is no registration. All webinars are scheduled for Eastern Time. To participate in the webinars go to ncrcrd.adobeconnect.com/ncrcrd, select "Enter as a Guest", and click "Enter Room." To nominate a topic, contact Rosa Soliz. 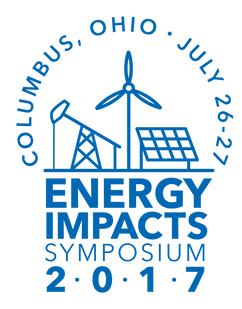 "Community Impacts of Energy Development Webinar Series: Final Webinar", April 13 at 2:30 p.m. Details will be forthcoming. Previous recordings are now available. If you missed the Placemaking Webinar Series, recordings are available here. Do you make maps? Beginners have more access now than ever to basic cartography applications. 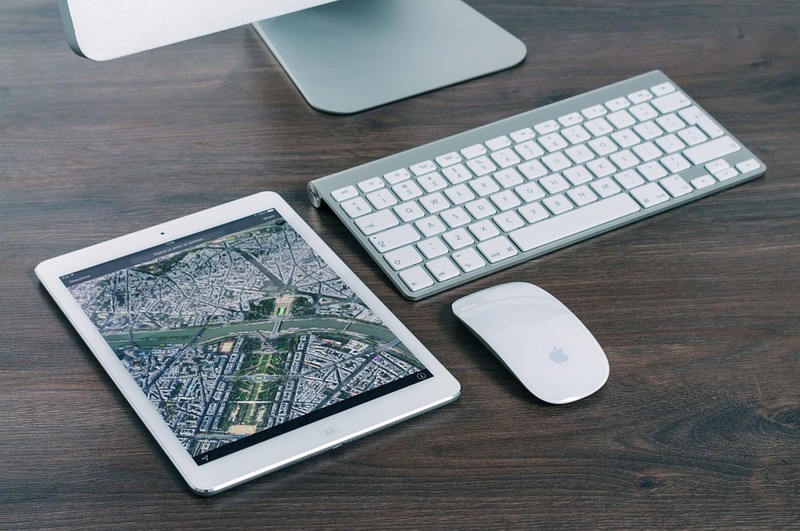 ArcGIS Online is the premier web-based platform for easily creating static maps and interactive web-mapping applications. Now, through a technology upgrade spearheaded by the Center for Urban and Regional Analysis (CURA), everyone with Ohio State login credentials can access ArcGIS online. The ArcGIS Online Platform is a powerful cloud-based tool for beginner and advanced cartographers. Read more. As a follow-up to the “OSU Conversation on the Opiate Crisis” forum held January 30, 2017, OSU Extension is offering an opportunity to participate in a Mental Health First Aid (MHFA) certification. These certifications are available to all Extension professionals. Adult MHFA which offers insight into each type of mental health disorder including depression, anxiety/trauma, psychosis and psychotic disorders, substance abuse disorders, and self-injury. OSU Extension has received funding to combine the youth and adult 8-hour Mental Health First Aid certification classes with CAPE (Community Assessment and Education to Promote Behavioral Health Planning and Evaluation) training. The CAPE initiative connects mental health first aid training with a series of videos and webinar discussions that provide community development training on community action planning and building sustainable coalitions to address community behavioral health issues. There are opportunities for 15 Extension professionals in each CAPE program. The first session (March - May 2017) will focus on youth and the second session (May –July 2017) will focus on adults. Review the attached overview of the CAPE training and apply for the youth and/or adult focus training at the hot links below. Funding has been received from the North Central Regional Center for Rural Development to cover travel, lodging, and meals for the 8-hour workshop for participants in the CAPE program. Any Extension professional can attend the Mental Health First Aid certification trainings. For those not registered for the CAPE training, all costs associated with the 8-hour certification will be “on-your-own”. Registration information for those certifications will follow at a later date. The 2017 Energy Impacts Symposium – the first multi-disciplinary, multi-energy conference of its kind – will provide a forum for energy-related social science experts to present, collaborate, and review research from across energy regimes. The two-day conference will bring together researchers to present research findings, exhibit posters, engage in panel discussions, and network, with specific events and opportunities targeting underrepresented groups, new researchers, and students. Paper abstracts for the conference are due March 1, and poster and registration deadlines are approaching in April and May. 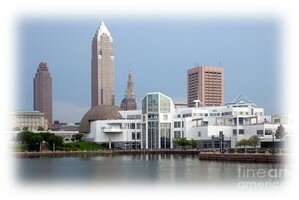 The conference will be held July 26-27 at the Nationwide and Ohio Farm Bureau 4-H Conference Center. For more information on the conference, visit energyimpacts.org. Proposals are sought for presentations and posters that will inform or advance the scholarship and practice of Engaged Scholarship and University-Community Partnerships through research findings, innovative program design and partnership models, proven community/institutional impacts, effective curriculum or service-learning models, collaborative policy development and integration, or successful civic engagement practices. Proposals should describe relevance to the conference theme and desired functional track for consideration. The 18th Annual Engagement Scholarship Consortium will be held September 26-27 in Birmingham, Alabama. Pre-conference workshops will be held September 24-25. The call for proposals is open and accepting submissions; deadline is March 15. Poster proposals are being accepted for the 5th Annual Engagement Forum. 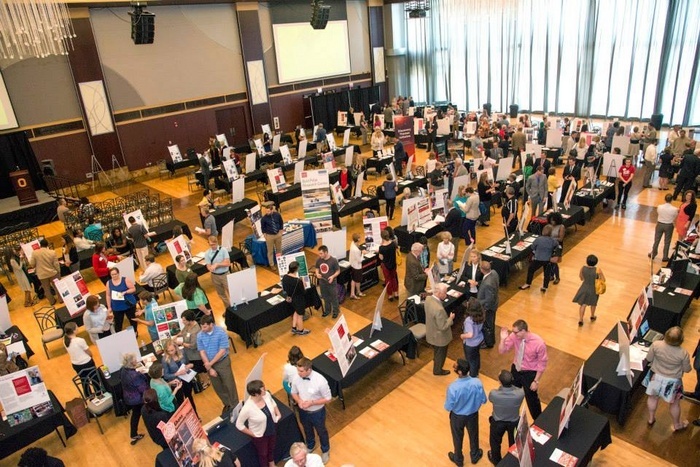 The forum, on Wednesday, May 3 from 1-3 p.m. in the Ohio Union Archie Griffin Ballroom, is an opportunity for faculty, staff and students to interact with Ohio State’s outreach and engagement community, share your work, and make connections with potential collaborators. Those interested in displaying a poster should complete the submission form by Wednesday, March 15. Limited number of spaces available for presenters. Read more here. The Fisher Leadership Initiative at Fisher College of Business has announced a research grant program for the study of leadership. The Initiative plans to award $75,000 in grants for research that will be completed by the end of the 2017- 2018 academic year. How dentists, veterinarians, physicians, etc. can more effectively lead their practices or the teams with which they work. Applications are due April 3 and may be submitted online at go.osu.edu/leadershipgrant. Call 614-292-7029 for more information. Translational Data Analytics (TDA) is seeking proposals from teams that wish to form new, interdisciplinary teams to generate preliminary study concepts, technologies, data and results encompassing data analytics. These proposals will support the creation of a community of scholars dedicated to identifying, sharply defining, and providing solutions to problems within the scope of TDA. Letter of Intent deadline is Tuesday, March 21. Earliest possible start date will be fall semester 2017. Read more. A series of grants to help state and local governments deliver treatment and recovery programs are open now through April 25. The total funding pool across these grants total more than $7 million and will be awarded in amounts from $100,000 to $1 million across six categories – two of which are focused on healthcare IT infrastructure. For more information, click here. The most updated version of the CFAES Travel Reimbursement form is now available on the CFAES Finance Website. This form should be used for any travel occurring between January 1 and December 31, 2017. You can download the form here. The 2016 OSUE County Highlights are now live at extensionhighlights.osu.edu. This website can be searched by county, topic, or key word. The previous static PDFs of the 2015, 2014 and 2013 highlights are also available on the new site. The CFAES computer patch management program will use a different tool to install Microsoft security patches starting this month (February). If the security patch requires a reboot, you will see the prompt. It is important you take a few minutes to reboot your computer so the patch can complete the installation process. Otherwise, your computer remains vulnerable. As a reminder, CFAES IT releases Microsoft security patches either the first week of every month or the 5th week of the month-depending on the month. Click here for complete information. For those who want to buy shirts with the CFAES logo, the university has created an online site. These would be purchased with your personal credit card and there would be no reimbursement. Shirts are the only items currently available, and no variation other than the CFAES logo is allowed at this time. Options available for purchase include polos, oxfords, short-sleeve t-shirts, long-sleeve t-shirts, hooded sweatshirts. and crewneck sweatshirts.